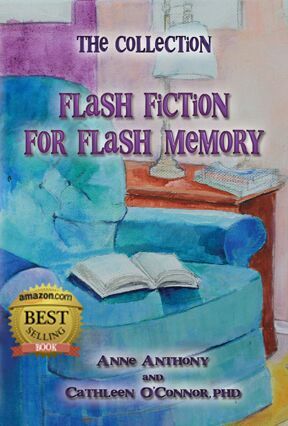 This special anthology is the first one created to deliver that special magic to adults struggling with memory loss, their families, friends and caregivers. Step into 60 original flash fiction stories that are short enough, between 500 and 750 words, to recall. Get carried along a path of unexpected plots that warm the heart, give chills, stir laughter and surprise. Meet memorable characters who despite life circumstances reach higher and set their own course; characters who influence opinions about people and situations; characters who inspire. Enjoy the evocative photographs that accompany several stories. Images touch the heart in a way that words and the mind cannot reach.A perfect gift any time of year. Bring the magic of storytelling to those who need it most. —Monica Sanchez, PhD, Co-editor, Storytelling: Interdisciplinary and Intercultural Perspectives. 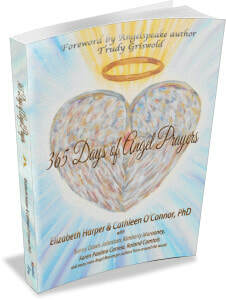 365 Days of Angel Prayers is a multi-author anthology of daily readings written to inspire and guide you to experience a rich and continuous communion with the angelic realm. Whether you choose to read that day’s entry or take a more spirit-led approach, these prayers, blessings, invocations, and essays will help you learn how to communicate with angels. Soon, you may even find your own unique words pouring out—embrace them. Remember, this book is a collaboration, one you are warmly invited to join. 5.0 out of 5 stars My new go-to resource for angelic guidance and love! What I love about Elizabeth Harper and Cathleen O’Connor’s book is that they have brought together many of the foremost angel communicators to offer heartfelt prayers and poems for each day of the year. Having a constant daily reminder of the love and support from the angelic realm is so comforting, and the inspiring personal stories from the authors’ own introductions to the angelic realm adds such perspective, dimension and depth. It’s wonderful to have 365 daily spiritual reminders of the peace, love, and comfort that can be infinitely and freely given to us by the angels beautifully packaged in one place. This book will be my new go-to resource for everything related to divine angelic guidance and love. The amazon international best-seller is now available in both paperback and kindle editions. Are you a woman who is yearning to break from the life someone else said you are supposed to lead, and instead realize your mission in life and leverage the natural gifts you‘ve been given? If you’re like many women today, you may feel like your life is out of balance and completely underserved in many areas. If this sounds like you, don’t believe you’re trapped—because there is a better way! 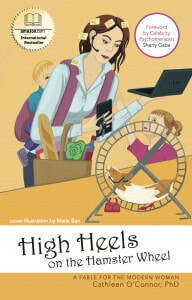 In her dynamic and entertaining new book, High Heels on the Hamster Wheel, Cathleen O’Connor, PhD, employs a lively fast-paced fictional narrative that will give you the strength to break away from the daily grind, harness the power to say, “No,” and live a life that honors your talents and true purpose. 5.0 out of 5 stars Crazy Busy Life? Then this book’s a must-read! I could totally relate to Harriet and all the methods she had tried to get control of her life. This book is fun and witty, but best of all it shows you how to create balance and boundaries in a few short, simple steps. Highly recommend! 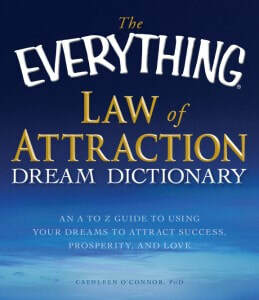 ​With more than 800 dream symbols and themes, this comprehensive resource is all you need to make your dreams come true! The explanations in this book were . . . easy to understand and there were many meanings I felt were exact! Loved it! 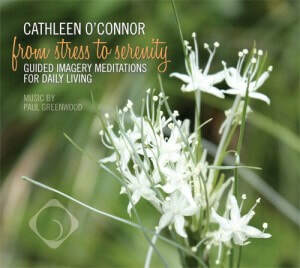 From Stress to Serenity: Guided Imagery Meditations For Daily Living. Original music by composer Paul Greenwood. Meditations range from the 3 minute De-Stress at the Desk to the beautiful chakra-balancing 25-minute meditation Healing Waters of the Rainbow. Each meditation is designed to move you through your busy day centered and calm. Whether you commute to work, work from home or are a stay-at-home caretaker these moments of mindful focus will set your energy for your day regardless of how busy that day becomes. Beautiful Work! I just want you to know that not only have I now listened to the entire CD and think it wonderful, I’ve actually started to use it with one of my clients who struggles with disabling anxiety.